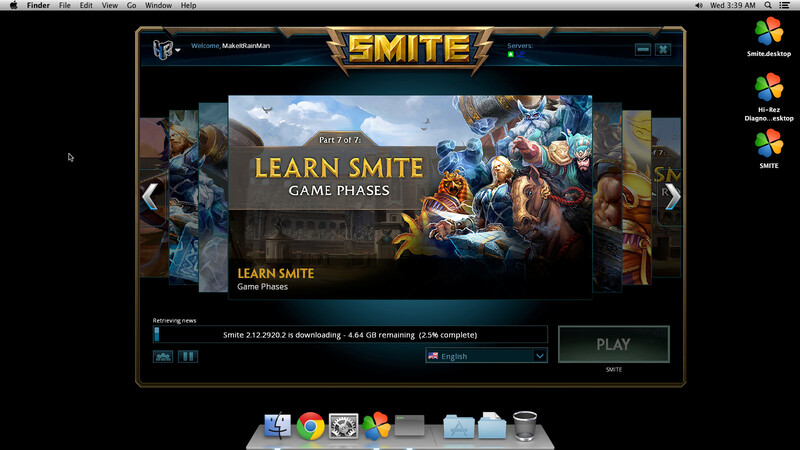 # A PlayOnLinux/Mac install script for SMITE. POL_SetupWindow_presentation "$TITLE" "Hi-Rez Studios" "http://www.smitegame.com/" "Rolando Islas" "Smite"
POL_Call POL_Download_retry "$DOWNLOAD_URL" "$DOWNLOAD_FILE" "$DOWNLOAD_MD5" "$TITLE installer"
POL_Call POL_Function_RootCommand "echo 0 | sudo tee /proc/sys/kernel/yama/ptrace_scope; exit"
POL_Shortcut "HiRezLauncherUI.exe" "$TITLE" "" "game=300 product=17"
# A utilities script that aids in the editing of SMITE setting without being in game. echo -e "This script will aid in the editing of SMITE's settings.\n"
sed -i '' -E "s/Fullscreen=. */Fullscreen=$1/" "$SETTING_PATH"
sed -i '' -E "s/Borderless=. */Borderless=$1/" "$SETTING_PATH"
sed -i '' -E "s/ResX=. */ResX=$1/" "$SETTING_PATH"
sed -i '' -E "s/ResY=. */ResY=$2/" "$SETTING_PATH"
echo -e "Settings found at '$SETTING_PATH'.\n"
echo "The follwoing settings have been applied:"
echo -e "Settings not found in '$SETTING_PATH'.\nLaunch SMITE at least once to generate the file." I'm on Linux, after running the script and downloading Smite, the launcher says "Smite is damaged and needs to repair", what should I do? EDIT: After validating twice it works..
Hi, I'm having issues here. I run script via terminal. Click next. Click Download the program. Says "Please wait while PlayonLinux downloads: Smite installer. Then error message reads.. "Download seems corrupted. Retry?". I've retryed a few times and rebooted and tried again. Using Ubuntu and I've already run apt-get update and upgrade. Any thoughts? Thanks! @Z3R0D4Y94 I need to check, but I believe the issue is with the installer being updated by Hi-Rez, so the checksum is different. If you download it separately and choose run it from the installer, it should work. The script has been moved to a regular GitHub repo: https://github.com/rolandoislas/SmiteInstallScriptPOL. Hi, I'm on fedora 23, the installation ran smoothly but at the end it says smite needs to be fixed. I clicked on "fix" and then on "validate", then only i could play !